With the constant changes in our day to day life our needs and wants have changed too. We have a lot of things that we want to store, but have no space for them. Hence, we dump them, give it in charity, or simply store them with storage companies. On the other hand, storage of our additional items can be made at little to no cost if we know how to make use of various storage boxes. These come in a wide range of designs, sizes, styles, materials, and shapes. 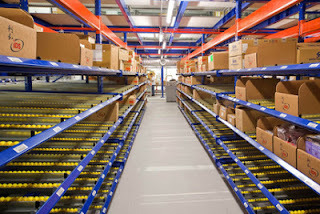 Each of these boxes have a different purpose and can fulfil all your needs and requirements. Given below are some of the most commonly type of storage boxes that you can find in your local market for your precious belongings. Plastic boxes: These are the best storage material you can use. They won’t break and thus can be easily placed under the bed, couch, or closets. They are best used for storing books, magazines, files, or any other form of personal belongings. An added benefit of plastic boxes is that you can see what is inside the box, and thus not waste time rummaging through things to check what is inside. 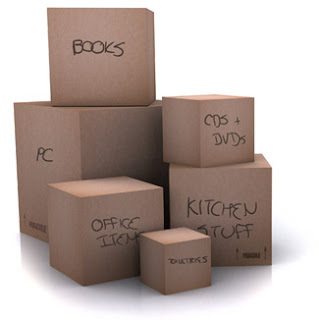 Cardboard containers: These work best when you are moving out or if you wish to reorganize your old stuff. They are easy on the pocket, lightweight, handy, and come in different sizes too. You can use them to store your old stuff like toys, clothes, stationery, etc. Wicker boxes: If functionality and flexibility is what you are looking out for then these boxes fit the bill perfectly. They come in different shapes and are convenient to use as well. Wooden storage cubes: These are an ideal option when you want to stack up stuff that won’t be used often. For instance, these boxes can be placed in attics or your garage to store various tools and equipment, chemicals, etc. Decorative storage: If you are someone who likes all things attractive and pretty, then decorative storage is perfect for you. It is portable, adds to the visual appeal of a room, and of course helps in your storing needs. The above storage options are very convenient as they help keep your valuables free from dust and dirt, and more importantly help reduce the clutter in the house. A binding estimate is popularly known as a guaranteed price estimate. This means the bottom line charges will be definite and compulsory i.e. the price that you are given before you move out will be the same price that you will pay once all the things have been transferred. This price does not change even if the weight is less than what was initially assessed, or if the weight has gone above the estimation. This remains true on condition that you do not add any additional items or services to the original assessment. This kind of an assessment is beneficial as it ensures that the prices won’t change come what may. However, you need to make sure you have everything packed up in the first calculation itself. Therefore, think twice, before you choose anything so that you have not only a good price, but are also guaranteed good service. On the other hand, a non-binding estimate is a type of service that most people prefer. This is because with this type of estimate, the cost is purely based on the actual weight of the items you want the movers and packers to transfer. This estimate is flexible in comparison to a binding estimate, thus allowing you to add or remove items as per your needs and requirements. 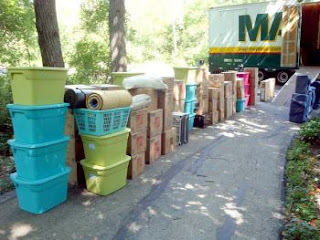 No doubt, moving from one place to the other is a tiresome and expensive task. Nonetheless, if you understand the difference between two different estimates it will help you keep your moving budget under control. As a result, it would be a wise decision to have a moving estimate from a minimum of 3 companies to get what best fits your needs.